Pick-up hours are from 12 pm to 7 pm on Wednesdays for all depots. We have asked all depot homes/businesses that if boxes are not picked up on Wednesday by 7 pm, they are to be put out again on Thursday morning by 8 am and left out until noon. If the boxes are not picked up by noon on Thursday, we ask that depot members see that the food gets used. Please remember to return your empty box from the previous week to your depot each week when you pick up. We reuse these boxes, so please return them. We don’t need egg cartons to be returned. Please gently flatten your box when you return it, as this helps to conserve space at the depot and in our delivery van. Common sense is the rule. Although there is a nominal discount for depot members, it really is nominal, and most members offer their homes or businesses simply because they want to be supportive of local, organic, sustainable agriculture. These people are doing the farm and all of our members a favor. We ask that everyone is respectful of the privacy and property of our depot members. Please be very careful to check your box each week for your name! We’ve had some members pick up someone else’s box, which leads to serious problems! If you have someone else pick up for you, make sure they know that they need to take the box with your name on it. If you arrive at your depot and can’t find your box, contact us; please do not contact the depot resident. It’s possible that someone else may have taken your box by accident, or we may have inadvertently dropped it off at the wrong depot. We try very hard to ensure that mistakes don’t happen, but if they do, please let us know so that we can fix the situation. We try very hard to make sure that only the best quality produce is put into the boxes, but we aren’t perfect. If you get something in your box that is unusable, please contact us and let us know. This alerts us to the fact that we missed something that we shouldn’t have. Please don’t think you’re doing us a favor by not letting us know if something in your box is unusable. The opposite is true: you are doing us a favor if you let us know if there is anything you can’t use, and you are doing us a disservice if you don’t. So, be good to both of us, and keep the line of communication open. We want and need your immediate feedback. Does the farm deliver produce during the Summer? Yes, we do deliver produce to depots. If you want to have your share delivered, you need to select that option when you register. 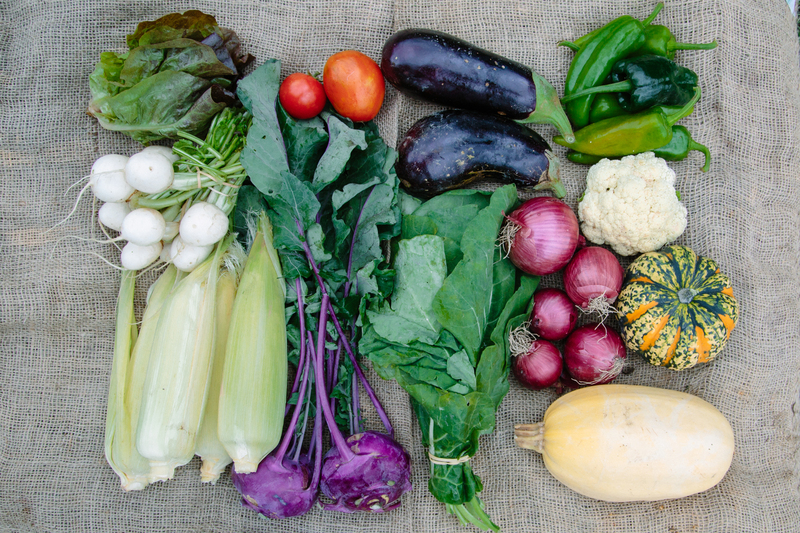 There is a $96 charge for the delivery option for the whole season, which is included in the price you see at sign-up.During our Summer CSA Session, the majority of our members who live relatively nearby come to the farm to pick-up their shares. As a result, we have a reduced number of Eastside depots available, with most of our deliveries being in Seattle in the summer months (during our off-season sessions, which are delivery-only, we have an increased number of both Seattle and Eastside depots). Can I come to the farm to pick up my share and/or do u-pick sometimes? If you register for the delivery option, you can still come to the farm to pick up and/or do your u-pick if you wish! Please email us by noon on the Monday of the week you wish to come to the farm to organize your pick-up. As a delivery member who doesn’t come to the farm, do I receive u-pick items? Yes! We are not able to include all u-pick items in your delivery box, since not all of them travel well (flowers, etc. ), and the harvesting of many of them for a large group can be a big time commitment (strawberries, etc.). We do, however, try to include u-pick items in delivery boxes – green beans, grapes, herbs, and more.We consider our u-pick selections to be a “bonus” – i.e., u-pick is not calculated into the cost of your shares. As a delivery member, although you are not receiving the full u-pick selection every week, you are not being shorted on the value of your box. Can I request substitutions in my box? While we understand and are willing to work with those with severe allergies and dietary restrictions that prevent them from enjoying certain foods, we are unable to provide replacements based on prefereces in your weekly box. We try not to inundate you with any one vegetable, and ultimately want you to enjoy what you receive and that will hopefully mean learning to love a few new veggies as well! Does the late spring session start April 25th? I was confused about the starting date. Also, do you have to pay all of it in full all at once? Hi Annie! Yes the Late Spring started this week. You can still sign up with a prorated cost for the remainder of the session if you’d like though. 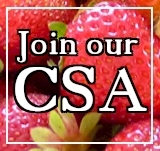 We do ask that these shorter CSA sessions are paid in full at the beginning of the session. Feel free to shoot us an email through our contact form with any other questions!